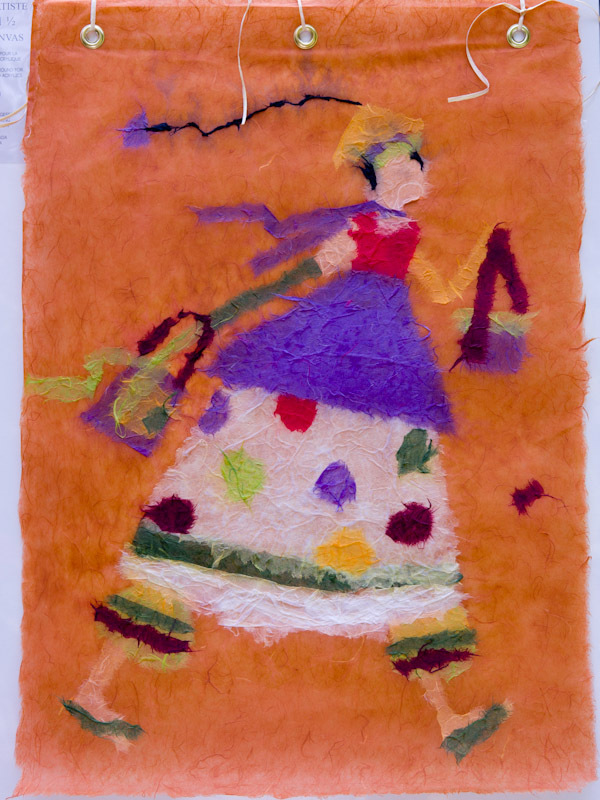 I learned how to laminate mulberry paper this past fall and chose a funky layout to portray this happy woman shopping. I haven’t done collage for a long time and it was a fun diversion from painting. I brought down to Mexico enough silk mulberry paper and other papers with leaves impeded (such as mango leaves) to do 3 more of these. Alas, I haven’t gotten around to them yet. But this one sold the first time I displayed it so that should be incentive for me.